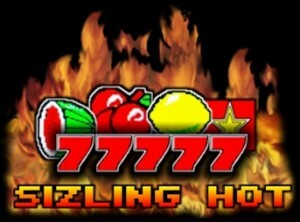 Sizzling Hot 77777 slots: How Many Game Variations Are There In The Sizzling Hot Slot Line? The Sizzling Hot Slot line has many game variations that either improve graphics or add more features. The main sizzling hot game, on which our site focuses on, is the standard game that made the whole line of slots so popular. From one slot machine game to another the variance can be small, for example, differences in game layout and slot symbols used. In the case of Sizzling Hot Deluxe Online, we get a nice and polished slot machine game. The Quattro Version essentially amplifies the fun a normal sizzling hot game provides four times. At least in theory. 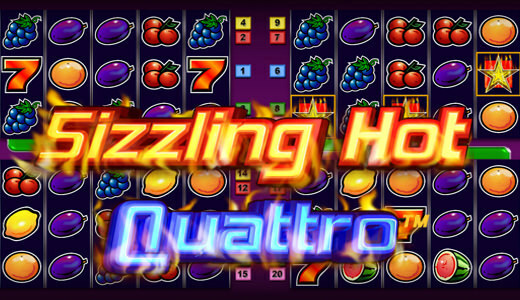 The Quattro Sizzling Hot variation splits the screen in 4 and offers four instances of the game that runs in unison. Sizzling Gold and Sizzling Gems are two variations that differ in terms of graphics and symbols. In these releases, the makers completely abandoned the standard set of symbols of fruits and used gems instead. The Gold variation still uses standard fruits as symbols but the sevens are golden. In general, we can talk about 8 major variations in the sizzling hot slot line of games. Think of it as mods at a game, each one is slightly different but resembles the original either in gameplay, feeling or sounds.